Although the International School of Awareness did not officially start until December 1999, the unique courses, methods and a variety of tools were introduced by Pauline Turner from 1982 onwards. The International School of Awareness is committed to assisting people to gain a better quality of life. Check the 2018 Calendar of Activities to feel which of those activities seems right for you. Then go to the Course Explanation page, for further information. 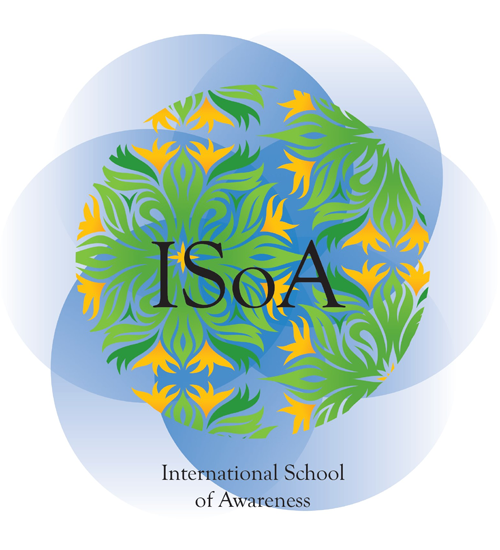 Founded by Pauline Turner, ISoA could not possibly exist without the support of an enormous number of people who use their seventh sense, rather like a beehive cannot continue to work without the bees. What is the Seventh Sense? ISoA names the gut reaction (that ‘knowing’ which is a certainty that cannot be explained). You will have probably heard it said many times,that the only thing to fear is fear itself, that is your own fear. The fear of doing something wrong. The fear of creating displeasure for someone’s whom you respect. The fear of failure. What is wrong? It is an opinion. The opinion can be yours or another’s. It is only wrong if a deliberate act of creating pain is undertaken with the conscious knowledge that it will cause hardship and by doing so, the person taking on the act is happy to inflict the hardship. No act is wrong if it is completed in the best possible way you now how at that moment in time, and it is done for the right reason, in the right way. Note ‘at that moment in time’. We can all be wise after the event because we have more knowledge and awareness of the facts surrounding the act. That then becomes a learning, but at the time you did not have that knowledge. By feeling guilty you thought you had done wrong, you are allowing yourself to become fearful. The past should be something we treasure (good and bad) because it has made us what we are. That can remain the same, or we can remove any fear we have by doing the best we know how in that moment. This reinforces the understanding that what we do now makes our future, and we have all the experiences of our past to draw on and make the present the best we know how – without fear! Once we understand the only ‘food’ darkness, unwanted negativity, and evil eat, is FEAR, we become aware that each time we are afraid, we are feeding the very thing we want out of our life. When I am asked about nightmares creating fear during a non-awake state, I offer two possible reasons for them occurring. The first is because a ‘fear’ is rolling around the mind as you go to sleep and emerges in picture form. The second is a form of clearing away unwanted memories that have been trapped in the cells of the body. Any episode triggering a fearful response is usually there for you to clear. When the sperm and the egg of your biological parents fuse to form the cell reproduction that will eventually produce your human body, this first cell combines the memories contained in the cell of your father through his sperm and your mother through her egg. Every new cell that is created continues to encompass the memories of your biological parents. After 3-5 months when your soul enters the human frame you become a whole human being, Prior to your soul entering the foetus the memories of your biological parents are what you respond to. Once born your emotions and thoughts may object to the behaviour of your parents/carers but your ability to explain what or why you do not agree, is impossible as you have no communication skills other than to cry or thrash about. In the end you become conditioned to being untruthful in order for your young life to be easier. This means you are forming conditioned behaviour patterns for yourself. At some point you realise you can, or should be in control of your own life and not automatically respond to the programming you have undergone during your early years. The next step is to connect with your soul and your soul's past so any karma you may have brought with you is cleared. Unfortunately, even with no karma, repeat behaviour patterns continue through the memories in your cells, which often reduces your self-confidence and belief in your abilities. To go back to source cannot be done with the head sadly, nor can it be achieved just because it feels a good thing to do, it must be FOR THE RIGHT REASON. EXECUTED ACCORDING TO THE COSMIC LAWS AND BE AT THE RIGHT TIME. Familiarise yourself with what is happening by checking out the contents of the Extended 2018 Events Calendar. We understand the titles of events, workshops and courses, often do not give a clear picture of what you actually happening. Do look at the Course Explanation page to find out what to expect when you attend.